So much yarn, so little time. : Come for a walk with me? 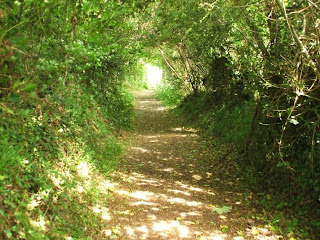 Our countryside never tires me - step through the tree tunnel and who knows what will be the other side? 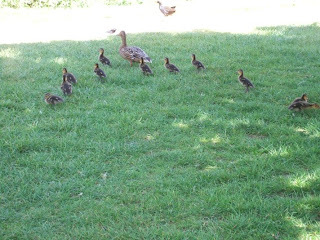 We were geocaching, this new little family had their work cut out just trying to keep up with mum! They weren't looking too sure now. "You want us to go through there? But there are nettles!" The bystanders held their breath and counted the babies in, counted the babies out. 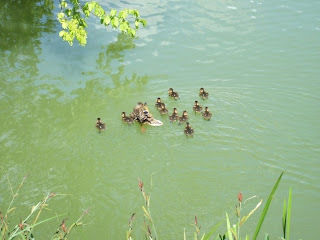 Mum looked very nonchalent, but I wouldn't want to have to keep track of 11 babies! 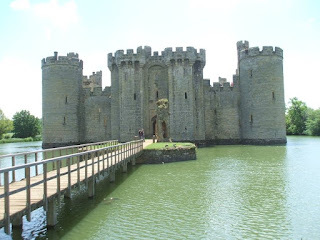 The stretch of water is the moat around Bodiam Castle. 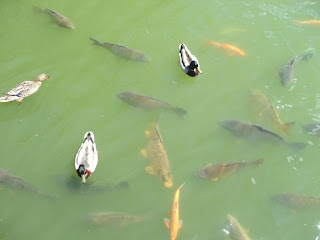 I suspect these carp are big enough to take a duckling if they have a chance! We walked on up the hill, stopping to take a final snap of what must be one of the most photographed views in the area. Wonderful pictures. Looks like you're having a lovely weekend. What a magical area you live in! Beautiful! What a beautiful castle. 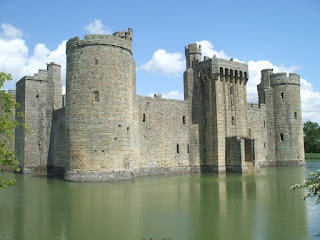 I've only had a chance to see Windsor and thought it was incredible...thank you for posting this, since it will probably be a while before I make it back to England. so beautiful! I love going with you on these jaunts, Heather. thanks so much for taking us along! Beautiful photographs, thanks for sharing! 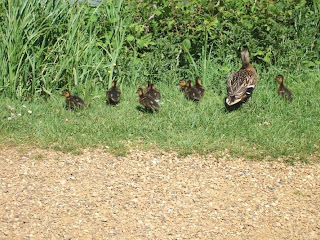 Love those cheeky ducklings making a break for it, bless. 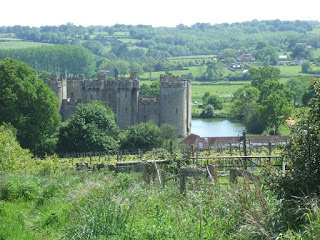 And Bodiam Castle was one of my favourite childhood places,we used to go there a lot when my grandparents lived in Bexhill.